The South African National Space Agency (SANSA) has partnered with New Partnership for Africa’s Development (NEPAD) agency to provide capacity on the use of Earth observation and other geospatial tools to fast-track planning and monitoring of African Agenda 2063 and Sustainable Development Goals (SGDs) implementation. The first country training workshop, hosted by Centre National D’études Stratégiques Et De Securite (CNESS), was held in Niamey, Niger from 16 – 19 October 2018. Fifty five participants from policy and technical government officers of various ministries that included economic planning, monitoring and evaluation, agriculture, education, cartography, and health, among others, attended the workshop. 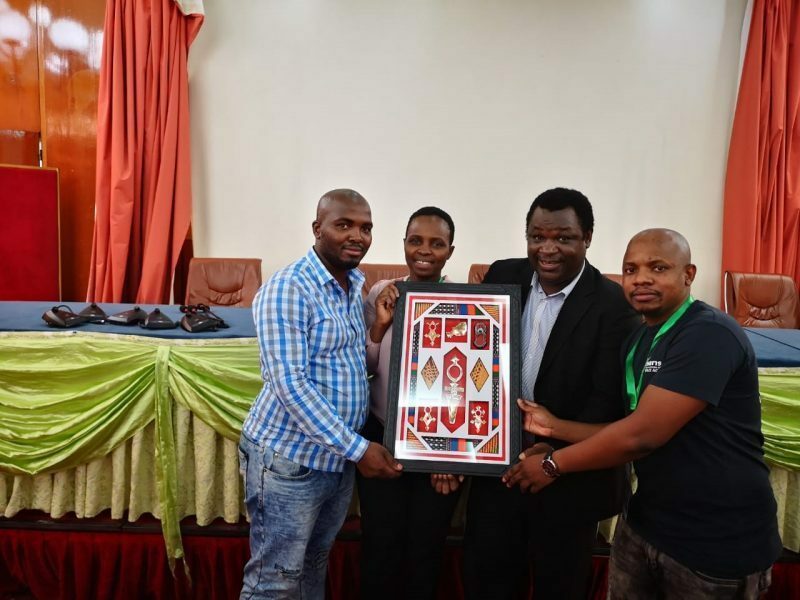 In recognition for their teaching excellence and contribution to integrated geospatial planning in NIGER, the SANSA Earth Observation Team received a framed montage of traditional fabrics and symbols from CNESS. This training workshop followed another successful NEPAD collaborative training held in September this year for the Regional Economic Communities that included the Southern African Development Community (SADC), East African Community (EAC), and Intergovernmental Authority for Development (IGAD) and representatives from the African Union Commission. The training workshops highlights critical aspects on the linkages of the global agenda, i.e. SDGs, the continental development agenda, i.e. Agenda2063 and the National Development Plans in different countries. For example, the goal of SGD 2 (Zero hunger) is to end hunger, achieve food security and improved nutrition and promote sustainable agriculture and similar to Goal 5 of the Agenda 2063 (i.e. Modern agriculture for increased productivity and production). The alignment is fundamental to avoid multiple reporting. The other aspects of the workshops included the use of open Earth observation data and geospatial tools for environmental monitoring and assessment, improving food security and settlement and infrastructure monitoring, among others; and data capturing and management in data scarce countries. A geospatial platform for tracking the implementation of Agenda 2063 and SDGs is also being co-developed with NEPAD agency.